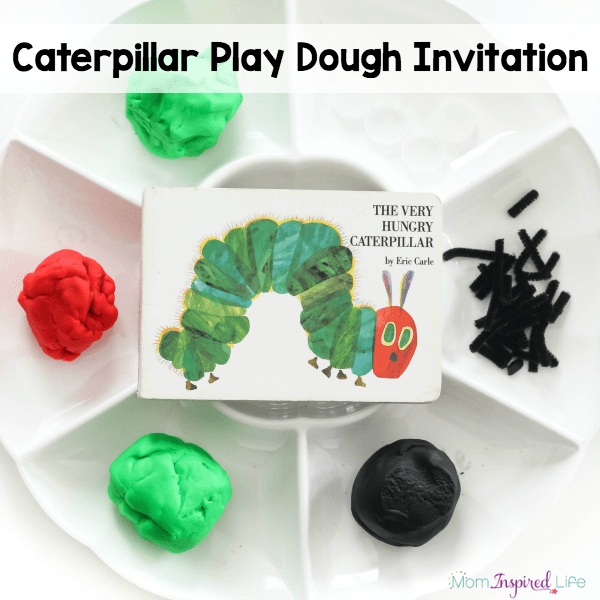 My kids had a great time with this caterpillar play dough invitation! 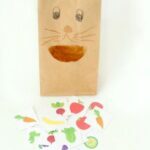 It pairs perfectly with The Very Hungry Caterpillar and is a fun sensory and fine motor activity. 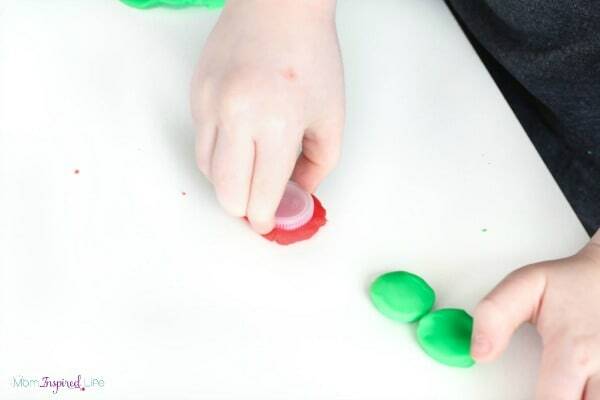 My kids really enjoy playing with play dough, but sometimes it can get boring for them. 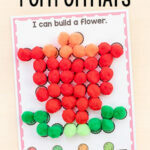 That’s why I like to set up play dough invitations. It inspires them in new ways and gives them new tools to use while playing with it. 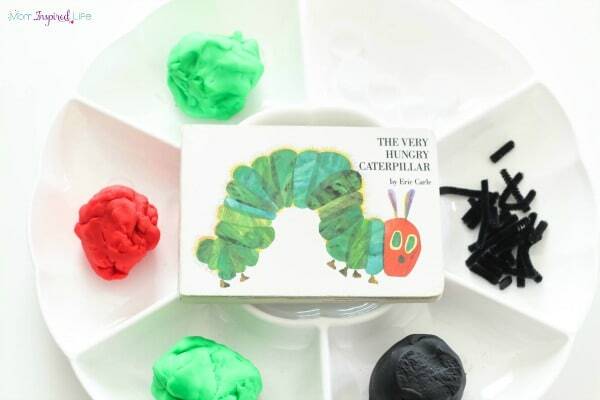 This play dough invitation was inspired by their love of the book The Very Hungry Caterpillar. It is spring now and caterpillars have been on our mind. In a few weeks, we will get caterpillars and watch them turn into butterflies, so the book is getting an extra dose of love right now. 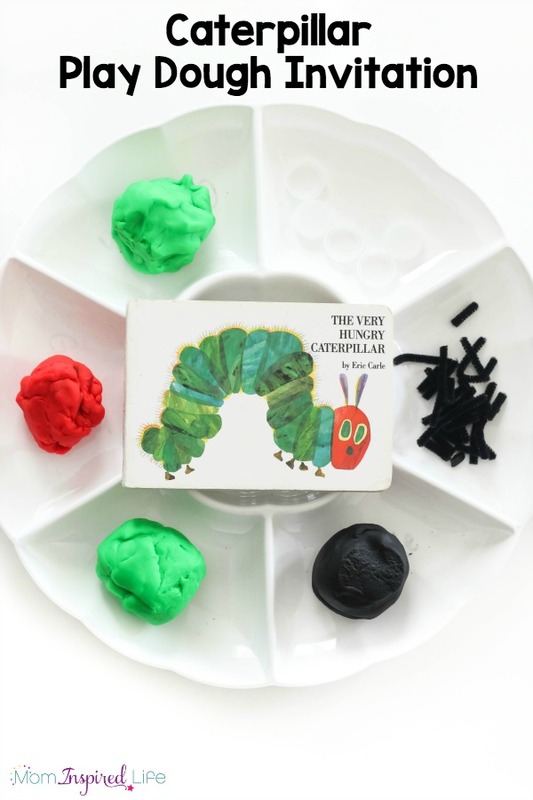 Check out this caterpillar color sorting activity and this letter matching caterpillar activity for even more fun with caterpillars! 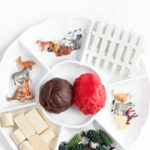 While playing with this play dough invitation, children will develop fine motor skills, engage their senses and make connections to literature. 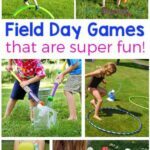 Plus, it’s just plain fun! My kids were super excited to find this on the table. They quickly started grabbing play dough and got to work creating. Right away, my preschooler (almost 5 years) knew that he wanted to make a caterpillar. 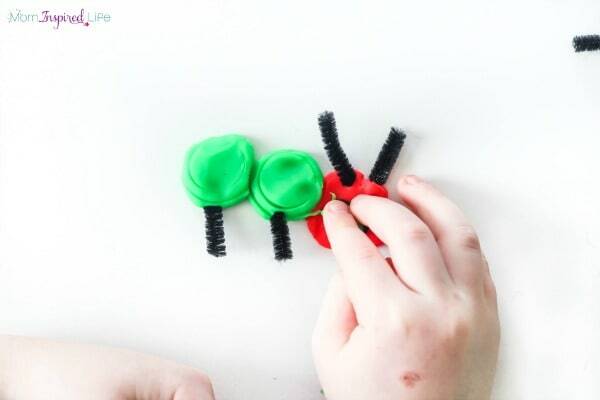 I showed him the bottle caps and demonstrated how they were the perfect mold for the segments of a caterpillar. He liked the idea and started making circles with the caps. My toddler (2.5 years) just played with the play dough and mixed colors. She really liked putting pipe cleaners in the play dough and stamping it with bottle caps. All of this was great fine motor practice for her. 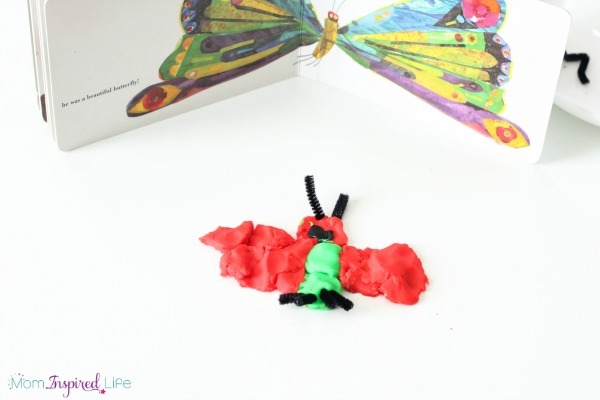 Once my son had made the caterpillar, he decided that he wanted to make a butterfly like the one at the end of the book, but he wanted his to have red wings. I love how he used the caterpillar body to make the butterfly. It would have been a great idea to include some small buttons or sequins to the tray so that he could have decorated the wings and possibly worked on symmetry. 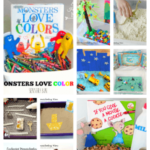 Overall, my kids really enjoyed this and it inspired lots of creativity. 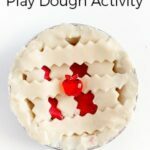 Do your kids love play dough too?